The British play a leading role in the European Union, but despite joining it nearly 40 years ago, we never imagine ourselves as really part of it. We’re more like the kid with the sick-note on the sidelines, making snide comments when someone misses a sitter or falls over. Last month, I travelled with my opera-singer partner from an audition that she had in Paris on one day, to an audition in Stuttgart the next. 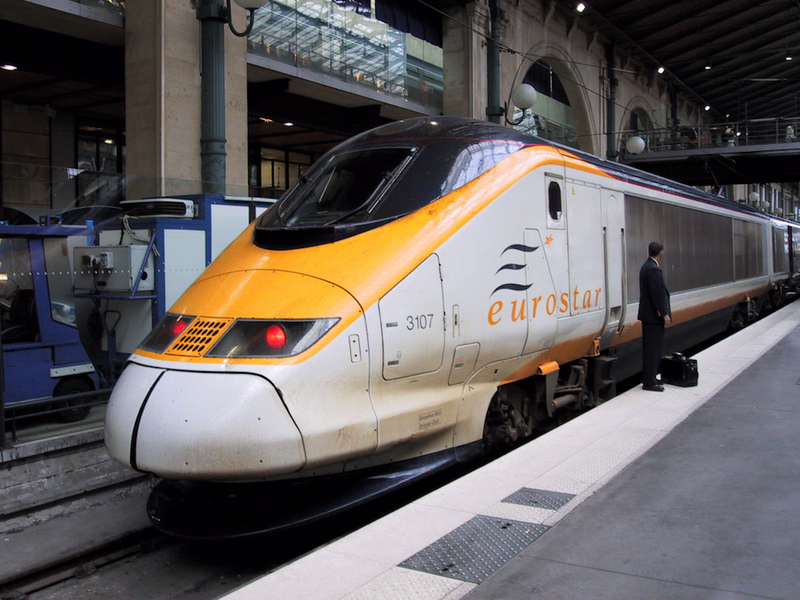 I experienced a deep thrill as, minutes after our train departed Strasbourg, we crossed from France into Germany. We crossed the border. One moment we were in France, and the next, a completely different country. That fluid border has become part of the essence of what it means to be European. We Brits are not used to crossing borders on land. We’re used to the process requiring a much greater effort and ceremony. Going to Europe—whether transported by some mechanical means under, on, or over the sea (which is otherwise impassable to all but the most audacious human swimmers)—that’s going abroad. You can walk to Wales. You can’t walk to Belgium. That’s what “abroad” means. Mainland Europeans, meanwhile, have imagined away their borders. This border between France and Germany was for me a mysterious, intangible but intensely powerful zone: nonexistent in real life, yet relatively massive as a black squiggle on a Google map. It bewitched me as I tried to pinpoint it, to experience “the going over,” to feel that infinitesimal moment of liminality. Although the ticket inspector naturally switched from French into German, and (as per European Union regulations) exchanged her neck-ring of garlic for a giant pretzel headpiece, in all other respects she carried on as if nothing had happened. Britain is not in Europe because it is not in mainland Europe. The mentality of the British is frequently described as an “island mentality.” I am ashamedly prone to it myself. I am ashamed of my prejudice, because I see myself as an example of a rare thing: a European Brit. In fact, I am currently living in Italy. I am house-sitting for my sister’s (Italian-Australian) in-laws. I am here because I love Italy and want to improve my Italian. I want to make contacts and to work in theaters across Europe. My interest in Europe comes, I believe, from my late mother, an art critic and book editor who spoke Italian, French, and German. It’s rare for a Brit to speak anything other than English. Always impressed by my mum, I have spurred myself to study those languages too. I drew stares of astonished horror on London’s “tube” (subway) when I directed a lost French woman in French at Christmas. That my French was wildly ungrammatical didn’t matter—no one apart from my interlocutor knew. To the Londoners (who as a rule conceal their emotions at all costs), I was gifted with terrible powers. An enthusiastic attempt at Italian in a similar situation caused people to move down the car. As they say, “exposure is everything,” and I credit my mum with seeding my interest in cultures beyond the coast of Blighty. We spent the occasional summer in Italy. Dad’s shoeboxes of photographs contain classics such as myself, my sister, and brother grimacing in Rome’s August heat, in front of St. Peter’s Cathedral. Here’s Lewis on the verge of sunstroke outside the Medici Palace. Here’s Eleanor sulking sweatily on the Uffizi floor. I grew up with pasta (normally with pesto) as my staple food, while my British friends were on oven chips and burgers. Among the more traditional roast beefs and treacle puddings, my grandmother still makes me sweet and sour pork with spaghetti (pineapples and all) whenever I visit Liverpool. I see this as a continued nod to my mother’s Europeanism. Sweet and sour is, of course, emphatically not Italian: I can only assume it’s the thing Grandma thinks goes best with spaghetti. The gesture is in the spaghetti. It is a dish that I have grown to love, although I have only ever encountered it in Grandma’s house. Here in Pisa, I have been sent to see Guido on Via San Francesco for my vegetables. He picks them for you: You do not touch Guido’s vegetables. This can be difficult when it comes to nonnative products such as avocados. Guido doles them out too hard. “Italians do not understand the avocado,” laments my friend Giorgio. “It is grown here, but it is not native.” What a wonderful foible. I may lapse into some of the anti-European prejudices intrinsic to my island. But I’m not proud of that. Should my country vote to leave the European Union, I still hope to remain an active part of it. An Italian friend based in London has offered to help me find a flat in Berlin. Perhaps I will take her up on that. Lewis Reynolds is an opera, theater, and film writer-director working in Europe. He is currently translating Mozart’s The Marriage of Figaro for performances in London, and writing a short film. *Photo courtesy of Marcel Marchon. Borders, Brexit, Europe, European Union, identity, nation, U.K.